Blue Child Collective - Eye Of The Needle feat. Sol. 4 years on and 4 records down, South West fluid groovers Blue Child Collective are set to take their newest offering, Wake Up To The Sound, around the country as a 5-piece on an 11 date national tour this summer. Out yesterday (November 23), the album's current single Eye Of The Needle (featuring Sol from Band of Frequencies) is the finest example to date of the Collective's feel-good roots with a touch of reggae. The product of positive collaboration between frontman Dan White, Kiwi darling Emjay Angeni, sax man Lindsay Baker and many musicians from the wider Collective, Wake Up To The Sound is an album spanning countries, cultures and communities. Featuring Bobby Alu on drums/percussion, Ken Allars (Caravana Sun) on trumpet/keys, OJ Newcomb (Band Of Frequencies/THUMP) on bass and Angela Iimura on BV’s, plus special features from Sol Carroll (Band Of Frequencies/Afro Dizzi Act) on vocals and Taro Terahara on bansuri, the album is truly a collective effort exemplifying what can be achieved through human connection. Captured at Yama-Nui Studio on Queensland’s Sunshine Coast by PaulieB (The Beautiful Girls/Bobby Alu/George), Wake Up To The Sound is a sonic journey in which the magic of the location can be heard - from thunderstorms to singing tropical birdlife - yet will transport listeners far beyond their own backyard. 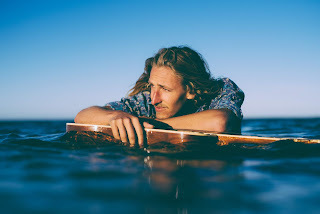 With singles Wattle Tree Corroboree, Dive and the title track Wake Up To The Sound attracting widespread airplay through 2018, including spins on triple j’s Roots N All, the Collective received a well-earned nomination for West Australian Music’s Best Regional Act. WEBSITE. 'Eye Of The Needle' mixes a funky musical backdrop which includes something of a reggae vibe to it, with some distinct and fabulous vocals. It's polished, upbeat and oozes charm. Roxy Rawson - The Good Shepherd. Roxy Rawson is set to release her full-length debut album ‘Quenching the Kill’ - out 30th November. Gamboling somewhere close to the ‘Anti-Folk’ category by way of a manipulated punk-y violin and plush multi-layered constructions, leftfield chanteuse Roxy Rawson has enjoyed a cult presence on the Parisian and London music scenes. Now based in San Francisco Bay and ready to release her full length debut, Roxy is an artist whose flair for the unconventional demands the World’s attention. A period of ill health forced Roxy to take an extended musical hiatus over the past few years, ‘Quenching the Kill’ is Roxy’s triumphant reintroduction to the music scene and an endearing aperture into an ascending artist losing life as she knew it, transitioning into recovery and ultimately regaining hope. The “strives for authenticity in the face of muted creativity” says Roxy “in an industry where emotional vulnerability is often supplanted by commercialized sentiment”. Quenching the Kill hits striking form with its apt synthesis of rawness and sophistication. Behind mild unexpected arrangements often lurks rampant urgency, enrapturing the listener with Roxy’s PreRaphaelite vocals habitually blending with sudden Spektor-esque snap-along oscillations. From the lonely rustic loops of ‘Black Eyed Soup’ to the percussively plucky delivery of ‘Rounded Sound’ , even seemingly downbeat ballads like ‘Iron Shoes’ take an unforeseen uplifting twist - all showcasing Roxy’s playground of musical creation, painting wistful melodies which often provide a veil to solemn subject matters. Roxy teamed up with producer and friend Ben Lamdin whose characteristic analogue production has also seen him produce for the likes of Lizzy Parks, Alice Russell, Josa Peit and Jamie Cullum. FACEBOOK. 'The Good Shepherd' is one of ten tracks on the new 'Quenching To Kill' album. Such is the variety found on the new album the featured song highlights only part of Roxy Rawson's musical sophistication. Sometimes a little quirky, other times sincere and moving or mischievous or even mysterious, Roxy explores musical styles, with so many ideas, that this really is a fabulous albeit musical roller coaster of an album. 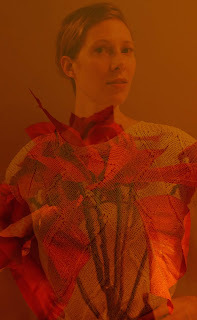 The new video from whimsical space pop/psych artist Polartropica is entitled ‘Wild Lyfe’. The single features dreamesque soundscapes, playful instrumentation and ethereal vocals. The eccentric visuals narrate how we are all the same underneath our facade and that we need to treat all creatures with kindness and respect. 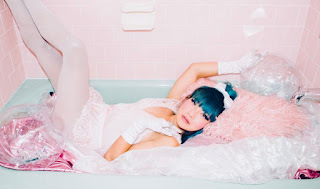 Polartropica is the music endeavor of Los Angeles based, whimsical space-pop artist, Ihui (eeway) Cherise Wu. Born in Taiwan yet raised in California, Wu successfully combines quirky pop melodies, futuristic synths and classical string arrangements, creating a genre of bubblegum psychedelia that you’ve never heard before. Polartropica derived after Wu heard a song which couldn’t be defined by a genre - ‘Polartropic’ by Mark Foster. Admiring the contrast between both ‘polar’ and ‘tropical’, Wu decided to formulate a place where things can exist where they don’t belong. Polartropica fuses elements of complete opposites together with the outcome resulting in a unique, ethereal sound that defies all sonic worlds. Using both organic and synthetic instruments, Wu conceived a visionary dream world for listeners to escape to. Wu professes, “I wanted to create a healing, inspiring and empowering space with just the right amount of disco-party!" Integrating 90's pop, classical arrangements and intergalactic space-pop, Polartropica is guaranteed to feed your imagination, with their eccentric and distinguished sound. WEBSITE. The music is sublimely gorgeous as layers of crystal clear synths and an intriguing rhythmic arrangement support the lush enticing vocals making 'Wild Lyfe' a joy to listen to.